Coming off a near-dream debut at the opening round of the 2010 GRAND-AM Continental Tire Sports Car Challenge race at Daytona International Speedway, where the #81 BimmerWorld GearWrench BMW E90 of Seth Thomas and Bill Heumann took second in the Street Tuner class, team owner/driver James Clay came away from the event with a sense of pride and accomplishment, but took very little time to bask in the team’s podium performance. BimmerWorld’s crew chief, Jason Marks, and his talented staff of technicians have remained busy after Daytona, checking each and every component on the blue and yellow BMWs. The focal point for drivers of the BimmerWorld/GearWrench BMWs prior to Round Two has been about gaining circuit knowledge ahead of the race. 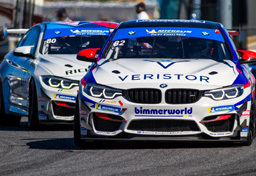 The BimmerWorld pilots all have varying amounts of experience at Homestead-Miami, but gaining adding additional practice time was listed as a priority. 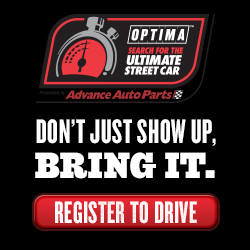 While 2010 marks the team’s first season of GRAND-AM competition, Clay says they will do everything possible to shorten their learning curve ahead of each round. Coming off of two outstanding performances at Daytona during their first full-season Continental Tire Sports Car Challenge campaign, Heumann and White say they feel ready for what the Homestead-Miami ‘Roval’ has in store for them. For White, the Homestead-Miami race presents an opportunity to gain more invaluable experience before the Continental Tire Sports Car Challenge season kicks into high gear. 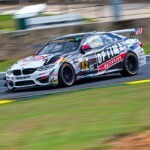 Follow the progress of the BimmerWorld/GearWrench team throughout the Homestead-Miami weekend at www.BimmerWorldRacing.com.